Fresh Chilies play an important role in many Mediterranean, Central American and Asian dishes. For the best authenticity and the best taste fresh chilies are the culinary must have! SAVE with our discount scale up to 30%! If you pack several portions of one sort in your cart, the portions will be accordingly cheaper. Now also available in yellow! The super hot chili with the super flavor. Belongs to the hottest chilies in the world and is a true classic. 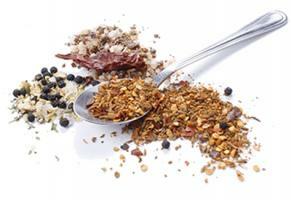 Due to the great taste it is a perfect basis for sauces and spices. The mild roast chilli from Japan. In the USA now a hype. 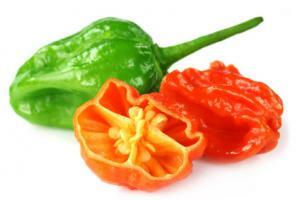 Carolina Reaper and RachenReibe fighting to get the bragging rights which one knocked you out! Get your double PUNCH! Fresh Tomatillos are a important base ingredient for the Mexican kitchen! You receive 5 fresh Tomatillos for Salsa and Co. New! The hottest Chili in the world, now as fresh Chili in organic quality. NEW in Organic Quality! It really does not get fresher and more natural than this! These pods really have it in them! 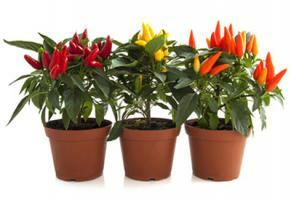 Learn in the following article many facts worth knowing about the fresh chilies! How can the fresh pods be processed? Fresh chilies can be used in many ways in the kitchen. For one thing, they can of course be crushed with a knife and boiled as a fiery pungent. But that's not all! The chilies can also be fried and served with cream cheese, for example. However, the pods must either be halved or stabbed. If that does not happen, the vaporizing liquid inside would burst the chilies. The result would not look appetizing anymore. Of course, fresh chilies can also be easily preserved, so you always have a stock of fiery pods. 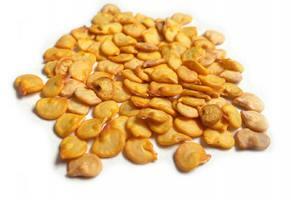 As a preservative, for example, the drying is suitable. But how are the pods dried most meaningfully? For a perfect result, the chilies must be hung upside down. You can simply attach the individual pods to a string with the styles side by side and then hang them up. This comes from the traditional drying method from countries such as Mexico already very close. However, you should consider a few things, so the place where the chilies are to be dried is crucial for an optimal result. 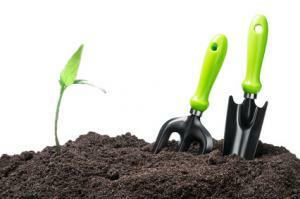 For example, you must make sure that the cord is protected from direct sunlight. Otherwise, the chilies would literally "burn" in the sun. In addition, adequate ventilation is extremely important because if air circulation is too low, the pods can naturally begin to mold. For the same reason you have to avoid that moisture, for example by condensation, forms. The most suitable place for drying the fresh chilli pods at home is the loft, but only when the windows are open! After about 3-6 weeks, the chilies are completely dried out and ready for further use. For example, the dried chilies can then be put into oil, which can be used in a variety of ways in the kitchen. Which dishes can result from this? Fresh chilli is an ingredient that suits many recipes. Among other things, with these pods a spicy sauce can be prepared, it is ultimately not important whether the pods are fresh or dried, they can be boiled easily. However, the chilies should be removed again, if heat that is not too strong is desired. Fresh chilies also fit wonderfully in a vinaigrette, so that every salad is really pepped up. As already mentioned, it is also very easy to produce your own chilli oil from the chilies, which you can of course use creatively in the kitchen. For example, before you put it on the grill or fry it, you can rub the meat with this homemade chilli oil. But beware: the taste is very intense, which is why a few drops are usually sufficient. 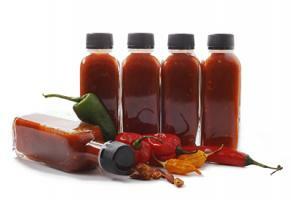 Hot inspirations - 6 top recipes from the BBQ scene for fresh chilli use! You want more? Here you are!? 8 more ideas for you! Other than that, gloves should always be worn when processing fresh chilies, as well as burning hands for days on end, as well as other areas of the body, particularly the face, which are endangered by the unconscious of several times a day. So be aware that you will never touch your face, even if you wear gloves when processing the chilli, which of course will not give you an injury, if the area of the body will be carefully blotted with oil immediately. Attention: Water would only worsen the situation! Where to buy fresh chilies? How should the fresh chilies be stored? This variant is of course the freshest form of fiery chilies. You can either process the pods immediately or preserve them. If you want to dry the fresh pods yourself, however, you must pay attention to a few points so that the pods do not start to rot. Fresh chilli pods can be preserved with other methods. You can put the chilies in oil or vinegar, for example. Even in the fridge, the pods, under certain conditions can be preserved for a few days. 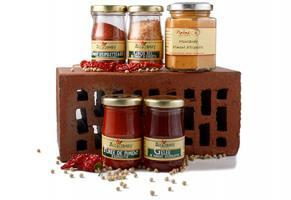 Fresh chilies can even be frozen, without any problem, which does not diminish the quality. A lot of recipes can be combined very well with the fresh chilies. Among other things, these are sauces, soups and dressings. When processing you must also pay attention to some points, otherwise it can lead to serious injuries. After an accident, the area must not be treated with water, but must be treated carefully with oil. You can buy the wonderful pods in their most natural form, especially on markets, in delicatessens, or even in so-called Asian shops.